Vineet Aneja heads Clasis Law’s Delhi office and shares his time between the Delhi and Mumbai offices. He has extensive experience working with both Indian and foreign companies, as well as with government authorities. 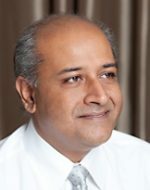 In 2010 and again in 2011, he was awarded the ILO International Client Choice Award for India in recognition of his corporate advisory expertise and approach. Vineet’s corporate practice includes advising on mergers and acquisitions, joint ventures, private equity and investment funds on a full range of corporate transactions including cross border transactions. He also regularly advises clients on general corporate matters and in the areas of capital markets, project finance, regulatory and real estate. Vineet’s skill set includes a deep transactional understanding as well as significant industry expertise across industries as diverse as manufacturing, media, medical devices, fashion, insurance, technology, telecommunications, infrastructure, hospitality, retail and financial services. Client feedback has highlighted the value his experience adds to both the legal and commercial sides of transactions. Clasis Law is a full service Indian law firm that is truly international in vision, scope, experience and capability. Clasis Law has offices in New Delhi and Mumbai that provide advice on matters relating to Indian law and jurisdiction. Expertise within the firm spans a range of practice areas including corporate and commercial, aviation & aerospace, banking & finance, insurance, retail, hospitality, infrastructure, real estate, intellectual property, employment law, competition, compliance & auditing, shipping & international trade law, TMT, litigation & dispute resolution. The firm acts for a diverse Indian and international client base across a number of sectors. Clasis Law is recognised for its robust Corporate Practice. The firm has extensive experience in M&A transactions and offers end-to-end transaction management from deal structuring, negotiating, documentation to assisting in closing of the transaction. The scope of our corporate and M&A advisory goes beyond the resolution of typical legal problems. Our objective is to collaborate with our clients and become a partner in their business decisions. In addition to the transaction advisory, the firm also provides services like legal due diligence, corporate and compliance audits, compliance management and corporate governance matters. Our secretarial and compliance services work to unburden the clients from corporate compliances so that they are free to focus on their business. The firm’s other sector specific teams and practice verticals like Labour & Employment, complement our corporate practice. Employment Law is one of our core practice areas and the firm’s extensive experience includes advising on HR policies and procedures, employee redundancies and employee transfer transactions, employment contracts, compliance audits and risk advisory, conducting employee training and awareness workshops, as well as, advising on a range of contentious issues such as hostile terminations, enforcement of restrictive covenants, sexual harassment cases and employee disputes. Further to the above, we also have a full-fledged insurance practice that offers full range of insurance services including transactional, regulatory, commercial dispute resolution, claims and product development. Our clients include a number of multinational insurance groups, reinsurers, domestic insurers, insurance brokers, corporate agents and other intermediaries. Clasis Law is recognised as a highly professional and process driven firm that has the necessary systems in place to provide hassle free services to the clients. Our clients range from Fortune 500 companies to SMEs and small businesses. The firm provides specialised services to large MNCs and international SMEs that choose India as their preferred investment destination. Our expert team of lawyers ensure that each client no matter how big or small in size and operations receives our best attention and services at all times.